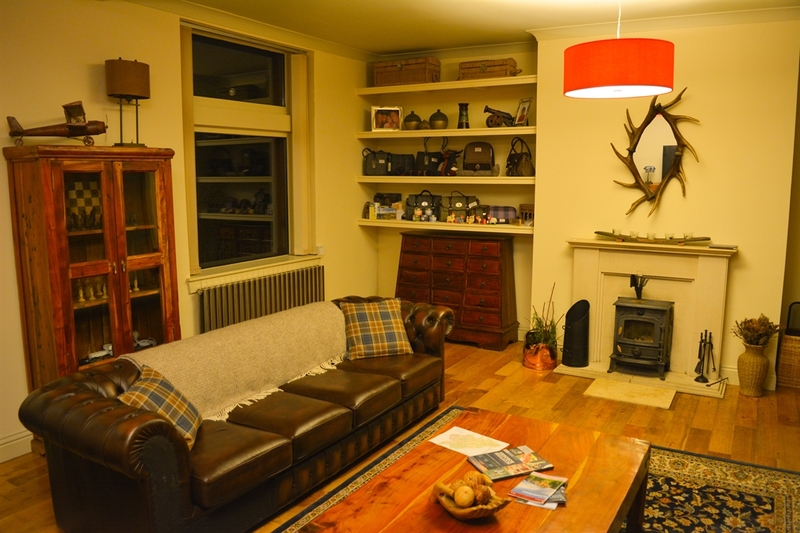 Set in the beautiful Ettrick Valley in the heart of the Scottish Borders, we provide excellent accommodation including well equipped bedrooms, an inviting kitchen, and a large, comfortable lounge where guests can relax after an enjoyable day in the surrounding countryside. Guests can also take advantage of the hot tub situated in the walled garden, and barn equipped with a pool table, bar, and games. 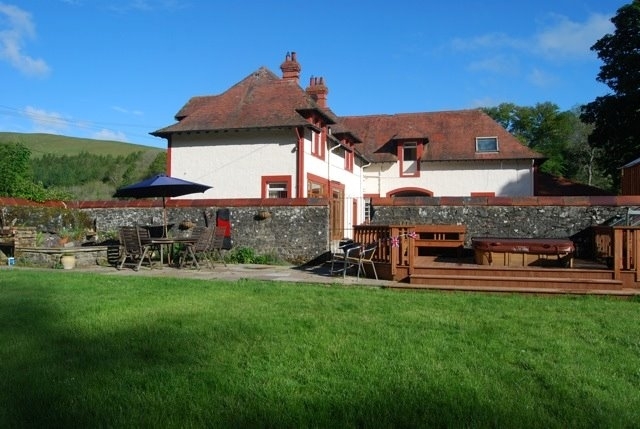 The house sits on 7 acres with lovely views of the local hills and ample on-site parking. The hire is inclusive of the entire house, garden, and barn, excluding the annexe. Pine Lodge is ideal for large group get-togethers. There is something for everyone to enjoy nearby - cycling, fishing, hillwalks, historic sites, or the pub down the road, as well as relaxing options for staying in, like the hot tub and garden games. The walled garden is a family friendly setting, and perfect for stargazing in the hot tub. There is also a water feature, a barbecue grill on the patio, and picnic tables for seating. Inside the barn you'll find a common bar, pool table, dart board, garden games, and a fleet of bicycles for touring purposes. Feel free to bring your own garden games. The house also has trout fishing rights on the river Ettrick, just a few yards from the house, with permits available locally. We offer a fully equipped kitchen with 6-burner stove top, double oven, kettle and toaster, dishwasher, American sized fridge/freezer, and wine chiller. Dining tables seat 8 in the kitchen and a further 6 in the dining room. Internet access is limited to the lounge. 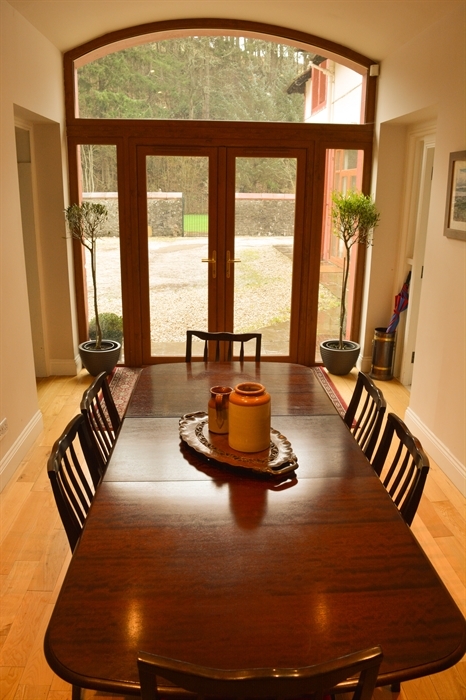 There are 6 bedrooms in the main house, all upstairs, to accommodate up to 10 people. There is a king room with ensuite that sleeps 2 adults, a double room with ensuite that sleeps 2, a double room that sleeps 2, a twin room that sleeps 2, and two single rooms.